Where Did All The Watermelon Seeds Go? July 26, 2012  Seedless watermelons are easier to eat than traditional ones, but are we sacrificing flavor? 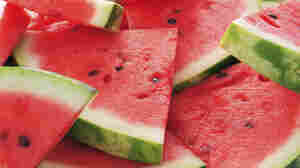 Plant breeders say watermelons have been bred to enhance flavor and convenience, and argue that seedless ones are usually sweeter.